While Australians bemoan the loss of native automobile manufacturing, that doesn’t mean General Motors will not be offering fine cars in Oz. In fact, the first batch of Holden-badged Opels are scheduled to hit the nation sometime in the middle of 2015. 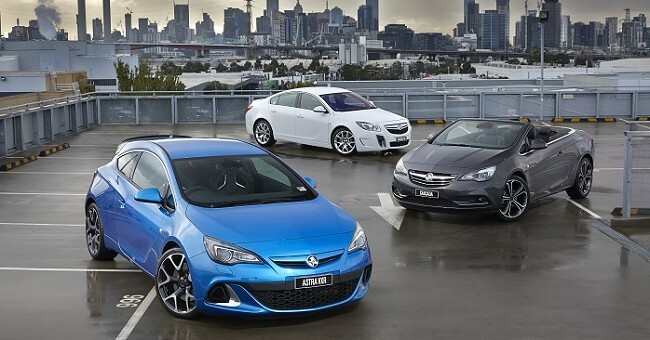 According to Motoring.com.au, Holden today confirmed that the Astra, Cascada, and Insignia will go on sale in a number of months, but not before the restyled Cruze arrives towards the end of January. The current Commodore will be the last rear-wheel-drive V8 model to be offered in Australia, although Holden also confirmed today that the VF-series will receive at least one more update before production is discontinued in three years. The Opel Insignia, the eventual replacement for the Commodore, will initially be sold alongside the Commodore when it appears by the third quarter of 2015.